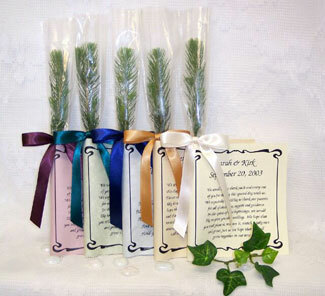 Give your wedding attendees a tree seedling for a favor. The seedling comes in a soft, full length, clear plastic sleeve or in a tube. You may also personalize the card attachment with your names, wedding date and one of the green world projects poems or create your own message. Planting instructions are included on the reverse side of the card. This is definitely a unique gift that helps the environment and something everyone can keep forever! Check it out! I was looking through Brides Magazine the March/April edition. I know it is an old issue but it has some really good information in it! Anyway I found this article on how to pick a wedding dress to flatter your figure. I felt this was a very informative article and I had to share it with all of you because the most important part of any wedding gown is that you look good in it. I recently purchased my wedding gown and I ending up getting a draped A-line gown to compliment by pear shaped body. Anything to cover those hips! J I hope this helps you as well. 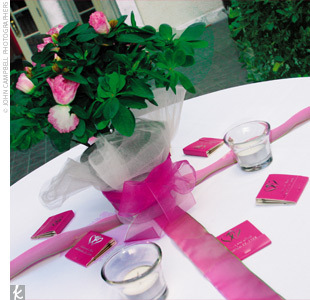 If you are having a pink wedding, this is a simple but breathtaking design. 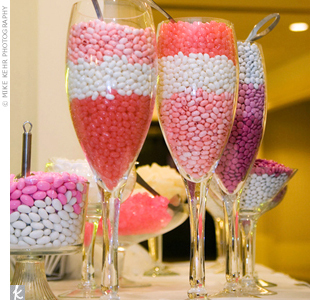 For the favors, there is a pretty bar set up with tons of help yourself candies in the colors of the wedding, some of which being jelly beans and pink rock candy. 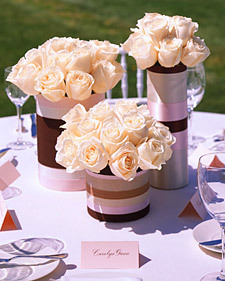 The pink roses are adorned with a touch of chiffon and the small votive candles surround the centerpiece. Beside the candles there are personalized match books for easy lighting. The chairs have a simple embellishment that makes them pop! 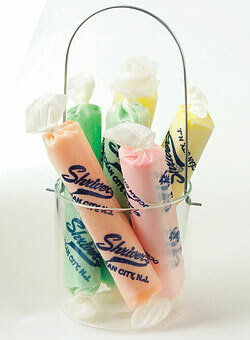 Be sure to customize our pink bridal party shirts as favors for the girls! This has to be one of the prettiest cakes I have seen! 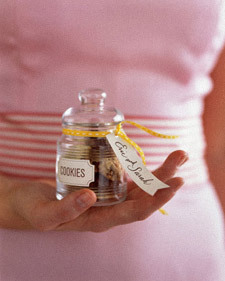 Leave it to Martha Stewart to come up with such a wonderful idea. This cake is as magical as the season’s first flurry. Snowflakes made from royal icing are miniature at the top of the cake and larger at the bottom, giving the impression of a gracefully drifting snowfall. 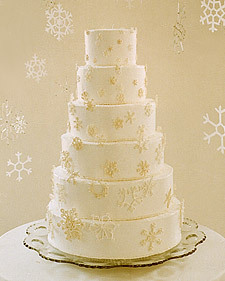 The tiers are frosted smoothly with Swiss meringue to resemble tightly packed snow. 1. Photocopy snowflakes, reducing or enlarging them to be 3/4 to 4 inches. 2. Tape photocopies and then parchment paper onto back of baking pan. 3. Fill pastry bag with royal icing. Holding bag so tip is 1/8 inch above parchment paper, pipe icing to trace snowflake. Before icing dries, trace over snowflake two more times and add decorations with tweezers, if desired. Repeat for all. Let piped snowflakes dry 2 hours before painting or removing from parchment paper. The traditional thing to do is to have your flower girl toss flower petals at the wedding. However this is not the only thing you can do. If you are having a fall themed wedding, you can fill her little basket with leaves. This is a great option because they are free and they are festive. 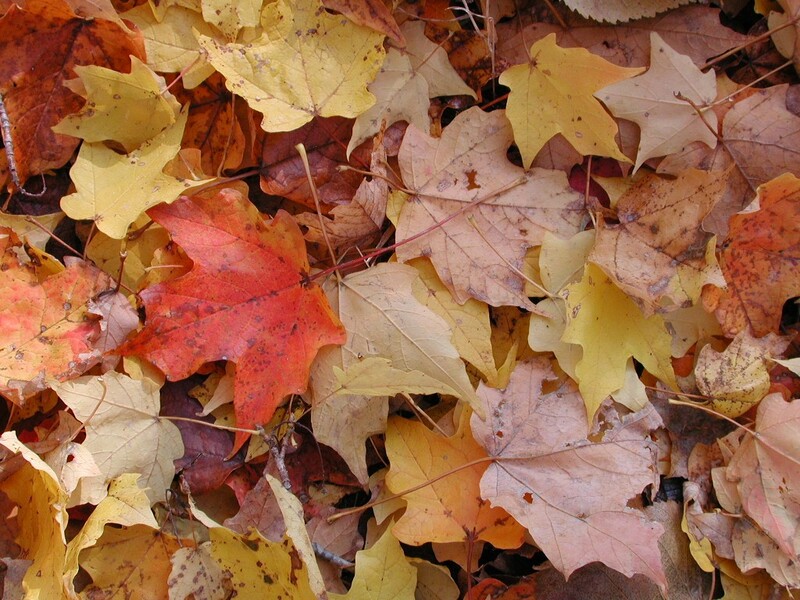 But if you don’t like the mess of real leaves you can always get the silk ones from the flower store and they will still be perfectly stunning, just a little cleaner. 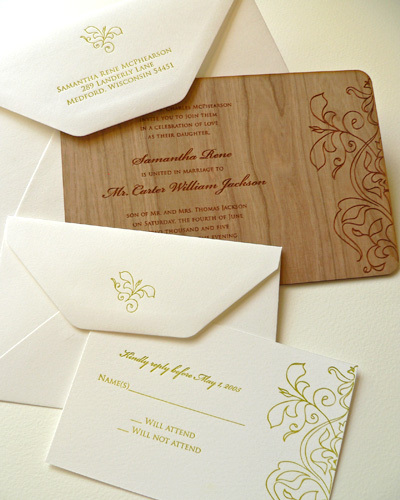 I have never seen wooden invitations before I came across Olso Press Products, and I have to admit I was a bit skeptical at first. However, now I am totally sold and I think they are simply beautiful. There is such intricate detailing in the wood and it is something totally different and unique. The company was formed in a very interesting way. The designers Glenwood & Jen where searching for invitations for there own wedding. They wanted something fun and unique but could not find what they where looking for so they decided to design their invitations there selves. The name comes from the family cat. They named the company after the cat because his long white fur makes him appear glamorous and regal; he is still a playful, curious, and sometimes shy creature. This was the perfect representative for there product! While the designs are very regal they also have a bit of a playful edge about them. I love then and think they are definitely worth checking out! Check it out! 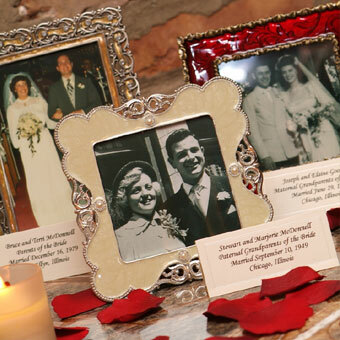 The Idea: Create a tenderhearted tribute to loved ones—living and deceased—by displaying framed heirloom photographs on your reception tables. It’s a great way to personalize your affair and spark conversations. Simply ask friends and family to lend you their old photographs (think black-and-whites of Uncle Jim out on the lawn or a snapshot of a great aunt aboard a cruise ship), have them framed, and then place them at tables where your guests will recognize the subjects. 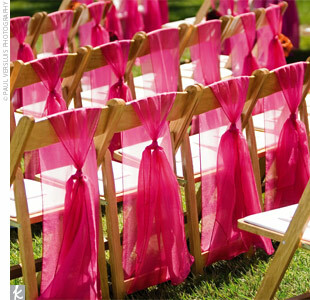 This idea comes from Brides.com and I absolutely love it! It is away to pay a special tribute to everyone you love dearly. It is also away to make love ones who passed become part of you special day.